Have you tried out the new products of Mister Donut and Dunkin' Donuts? 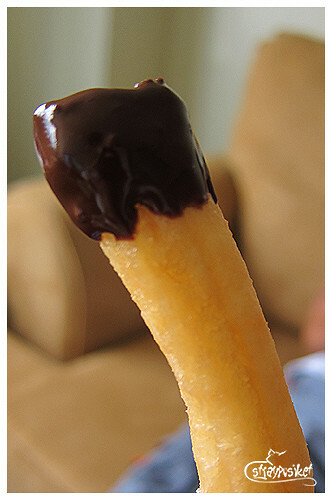 Unlike the Donuts n' Dip, this one is similar to Pretzel where the donut sticks are coated with chocolate and is packed in french fries containers. 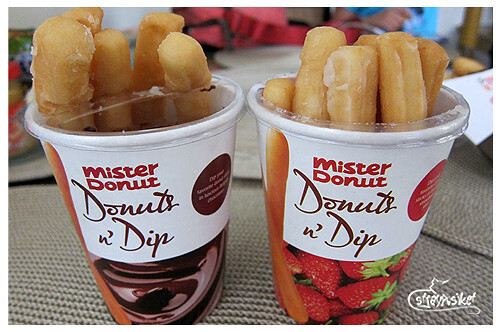 I've tasted both and I think the chocolate dip of Mister Donuts tastes better. It's not too sweet. Tastes like the churros dip of Dulcinea but slightly sweeter. 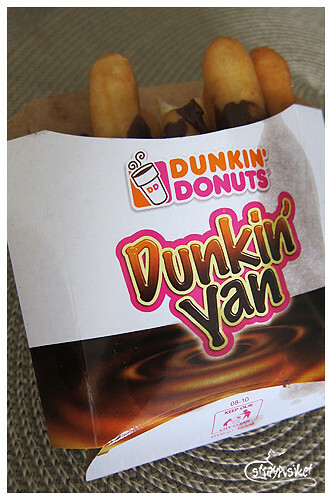 The Dunkin' yan' on the other hand tastes the same as their Chocolate Frosted Donut so there's nothing special about it and it's messy to eat. See what I mean? Lol. I don't know about my food monster cousin but I think she likes them all.